One more mini-posting on war memorials and Rolls of Honour: next month we go back to longer articles. 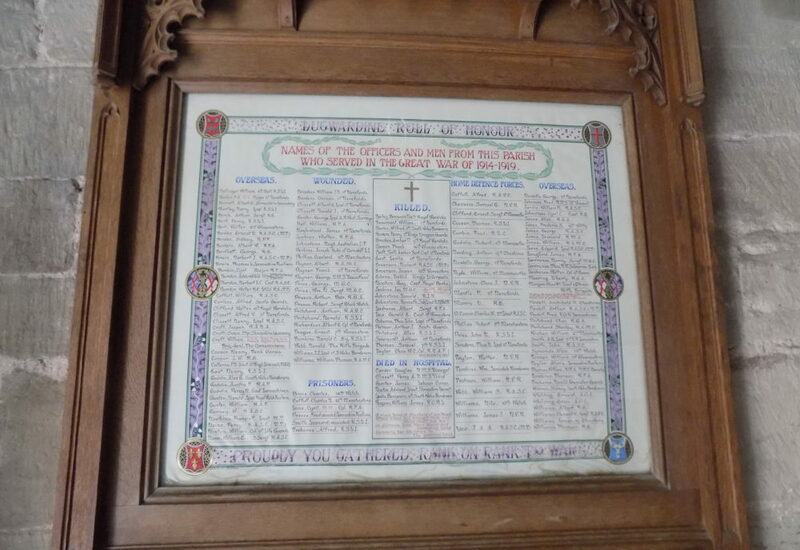 The Roll of Honour at St Peter’s, Lugwardine, Shropshire, is a particularly moving one. It diligently lists those who served in the Home Defence Forces and overseas, those who were killed and wounded, those who died in hospital and those who were prisoners of war. This was a community which cared for all its servicemen. Intriguingly, officers and men are listed together: so Brigadier-General William Croft, CMG, DSO (3 bars), Legion d’Honneur, is listed next to Henry Cooper of the Tank Corps.